Winter makes a mess. From slushy boots on your floors to musty, cooped-up smells in your carpets, there are plenty of reasons to do a serious spring cleaning. 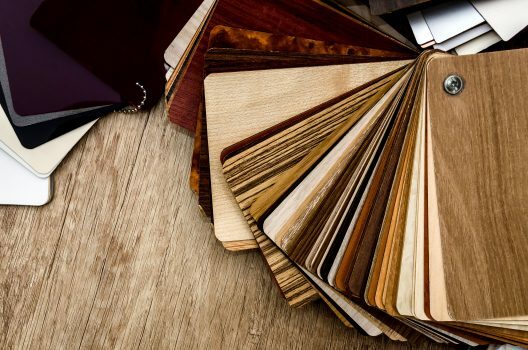 Meyers Furniture & Flooring in Rochelle and Mendota offers hardwood, designer vinyl, and carpet choices. Flooring has come a long way in terms of durability, and Meyers has an amazing array of tough, but beautiful styles to choose from. Below are some hacks for cleaning floors that will give every surface in your home a fresh look and smell. Always follow the manufacturer’s cleaning instructions, and clean carefully and slowly to make sure you don’t damage materials. Carpeted floors: Vacuum as needed of course, using those great attachments to get the corners and baseboards. To remove harmful allergens and unsightly dirt, have the carpet professionally cleaned — a few times a year for high-traffic areas and every 18 months for low-traffic — House Beautiful says. Juice, ink, pet accidents, and blood will inevitably stain your carpet, but having vinegar, isopropyl alcohol, dish soap, and a spray bottle makes for quick spot-cleaning. Research the ratios and formulas for different stains. There are also numerous products pre-mixed at the store. Always precede with care, cleaning a small, hidden patch to make sure you aren’t ruining your carpet. Extra tip: If you have melted wax on carpet, place a paper bag over it and iron the bag until the wax comes up. Vinyl floors: Cleaning your vinyl floors is pretty simple; mopping with a damp mop dipped in warm water and an approved detergent will do the job. However, don’t be tempted to soak, flood, or overwork the vinyl, according to Reader’s Digest. Extra water can seep into cracks and loosen glue. A little too much elbow grease can damage vinyl, so make sure to keep up with the low-impact cleaning with a broom or vacuum. Extra tip: Use shampoo to remove hairspray from bathroom floors. Wooden floors: Wood flooring can be a bit intimidating as it can be expensive and easily warped or scratched. The DIY Network suggests giving your hardwood floors a sip of tea. Boil water and add two teabags. Pour the tea into your cleaning bucket and use the tea to wash the floor with a soft cloth. Only dampen the cloth. You just want the floor to get moist enough the pick up dirt, but not leave puddles and streaks. Did you know? : The tea’s tannins improve the wood’s sheen. Spot clean as necessary and don’t wash wooden floors frequently. If after your spring cleaning you could use a fresh new flooring look for your home, stop in to see us in Rochelle and Mendota and let us help!